An arrest for drunk driving or driving under the influence (DUI) can be a traumatizing experience. After a drink or two at the Florida State Seminoles’ game, the company end-of-year party, or another social gathering, it is possible to “feel fine” or “not feel drunk” and still be arrested for DUI. If you are arrested for DUI in Leon County, including Tallahassee, Woodville, or surrounding areas, it is important to consult an experienced DUI attorney immediately. Even if you feel that you will obviously be convicted, it is crucial to consult an experienced DUI attorney who has specialized knowledge of DUI law and the Florida criminal law process. 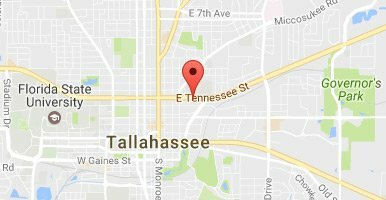 How a DUI Arrest Occurs in Tallahassee, Florida. The officer holds a stimulus, usually a pen or stylus, in front of the drivers face and requests the driver follow the movement of the pen from left to right in a horizontal motion. The officer watches the driver’s eyes for a nystagmus or a deviation in the eye movement. The officer requests the driver walk in a straight line with both hands by his or her side. The driver must walk in the straight line, one foot in front of the other, heel to toe. The driver must then pivot after a certain number of steps and repeat the heel-toe movement in the opposite direction. With the one-leg stand test, the officer requests the driver stand and lift one leg approximately 6 inches off the ground and maintain both hands on his or her side. The officer observes the driver for signs of intoxication, including failure to maintain balance or follow instructions. Lastly, the officer may request the driver submit to chemical testing, including blood, alcohol, or urine testing. Florida is an implied consent state. By virtue of having a driver’s license and driving on Florida’s roads, an individual consents chemical testing. Refusal to submit to chemical testing may result in driver’s license suspension. The most commonly used chemical test is the breathalyzer test. Most law enforcement agencies use the Intoxilyzer 8000, which tests the blood alcohol concentration or BAC. If the test shows the driver (over the age of 21) had a BAC of 0.08 or higher, he or she may be charged with DUI under Florida Statute § 316.193. The field sobriety tests, especially the walk and turn and one-leg stand require a certain amount of coordination, which may be diminished with age. An individual may fail or perform poorly because of a bad hip, prior injury, or another age-related incapacity. Certain medical conditions or medications may cause an individual to perform poorly on a field sobriety test. For example, every individual has some sort of nystagmus or deviation of eye moment. Another age-related incapacitated by certain diabetes medications and head injury. Naturally, some people are more coordinated than others. Standing on one leg for 30 seconds may be challenging and require several attempts even if the person is not impaired. According to the National Highway Traffic Safety Administration, the officer administering the field sobriety test must follow certain procedures. Failure to follow these procedures can invalidate the test or cause a driver to perform poorly. For example, the officer must perform these tests on a level surface. The Intoxilyzer 8000 destroys the entire sample, making retesting impossible. The factory warranty on the Intoxilyzer 8000 lasts only 90 days. There are many aspects to a DUI case in Tallahassee, Florida. It is imperative to consult a DUI attorney with the experience and skill to analyze the evidence against you and build the strongest defense on your behalf. The team of attorneys at Pumphrey Law have tried countless DUI cases to verdict and will devise the best strategies to obtain the most favorable result on your behalf. Contact Pumphrey Law at (850) 681-7777 for a free, confidential review of your case. Pumphrey Law strongly defends individuals charged with DUI, Underage DUI, and Drugged Driving throughout Leon, Bay, Jefferson, Wakulla, Gadsden, Gulf, Liberty, Calhoun, Washington, Jackson, Franklin Counties, and surrounding areas.